Hi everyone. First post on this forum. Can anyone shed any light on this? As usual this summer we are growing chillies in our greenhouse. We have used seeds from the same packet as last year - Mr. Fothergill's 'De Cayenne' (sow by 2020). Last year these were great. This year, out of four plants, two are bearing the long slim chillies we were expecting whilst the remaining two are sporting small bell peppers. Does anyone know whether this can arise due to environmental conditions or whether it indicates that the seed company has somehow mixed up the seed in it's packets? 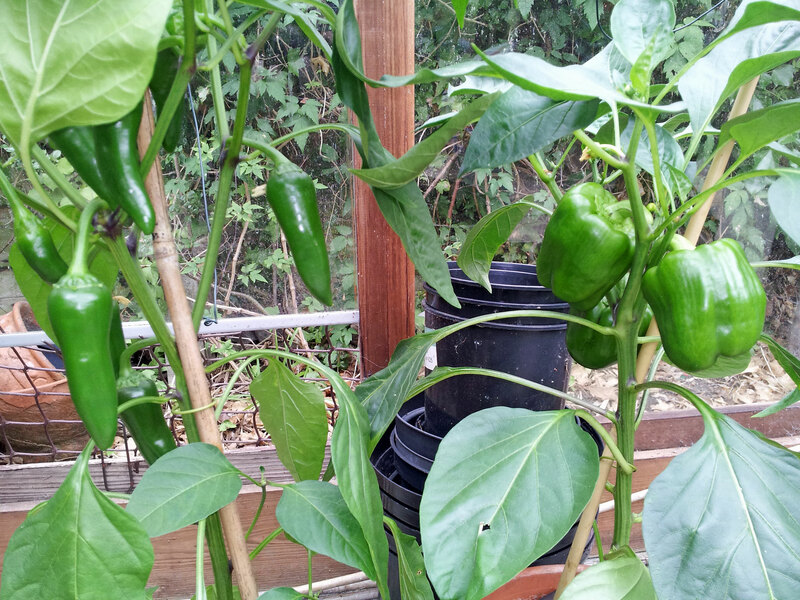 We have never grown bell peppers so the mix-up could not have happened at our end. Photo enclosed of two adjacent plants.